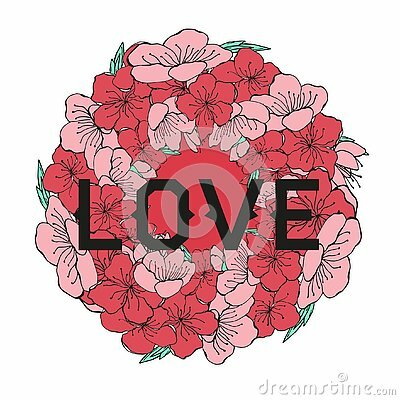 Vector illustration of a flower in the shape of a circle. Volumetric circle of sakura flowers. Romantic pink cherry blossom design.